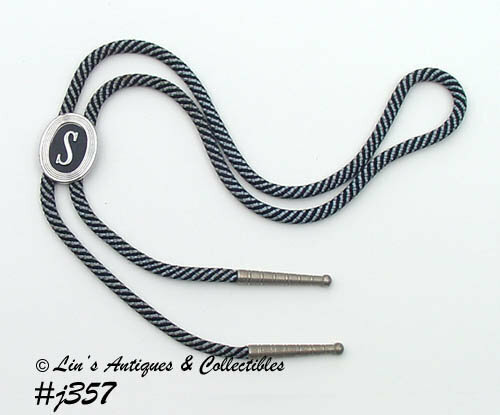 This is a neat vintage bolo with initial “S” slide! The slide is marked Swank. Excellent condition!